Softgel is more stabilization, and faster absorption, improved and uniform bio availability. Research on green-lipped mussel has thus far focused on OA and RA. Although some studies have failed to demonstrate therapeutic benefit of green-lipped mussel in people with arthritis, the outcomes of other studies have been more positive. In one trial, both freeze-dried powder and lipid extract of green-lipped mussel were effective at reducing symptoms in 70% of people with OA and 76% of people with RA. A similar study of people with either OA or RA showed green-lipped mussel reduced pain in 50% and 67% of the patients, respectively, after three months of supplementation. 1. I have found that by using the green-shell mussel capsules, the pain that I had lived with in my right knee was reduced significantly to a level where I could get better sleep and do more activities than when I commenced the trial. 2. 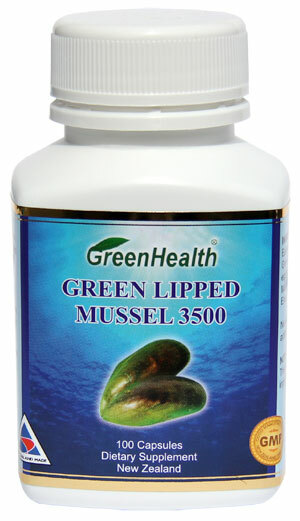 Green lipped mussel extract certainly worked for me. In the eight weeks I was taking it I noticed a great improvement in my knees. At the end of eight weeks my knees were almost completely pain free and I would recommend green shell mussel to anyone with knee pain. 3. I definitely noticed a difference taking the green shell mussel. I was actually able to play with my three year old daughter without pain and stiffness in my knees which was wonderful. But when I stopped taking the green shell mussel (at the completion of the trial) the pain and stiffness returned within a few weeks.